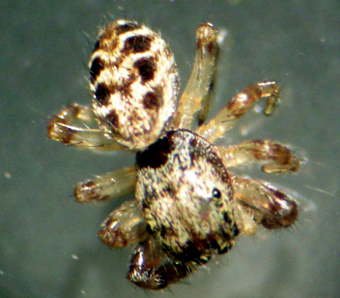 During the day these spiders are often found stalking prey in open sunny areas. During the evening they hole up in debris, under bark stones or leaves. 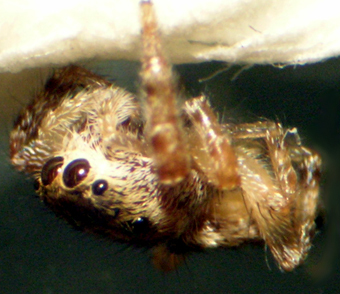 None, jumping spiders stalk their prey and use only a anchor line for capturing prey. They create silken shelters in wood debris and in leaves during the night when they are resting but create no true web. 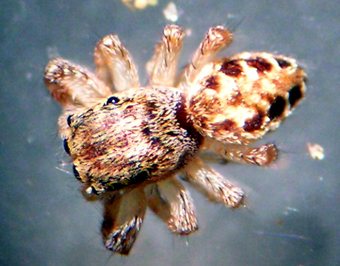 Salticidae is the largest family of spiders with more than 5000 described species.